Travel and Leisure just put out an article naming the top 30 “America’s Favorite Towns”. St Augustine was ranked number four on this list of amazing places with a population of less than 100,000. These top 30 towns were selected by a survey of readers. 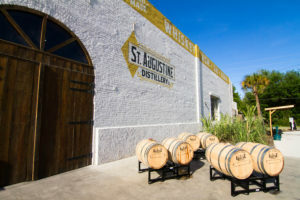 A few of the favorite Saint Augustine hot spots listed were the Old City Farmer’s Market, Distillery, Fountain of Youth, beaches and of course the shopping.